unique gifts will give you the look and style you are looking for. A scarf is the perfect accessory to spruce up any drab winter wardrobe; as well as carry you right into spring. The Vintage Scarf’s selection seem endless, so please head on over to their site here for more! On next Thursday, Feb 10th, I will draw a random name from the entries who does one of the rules. 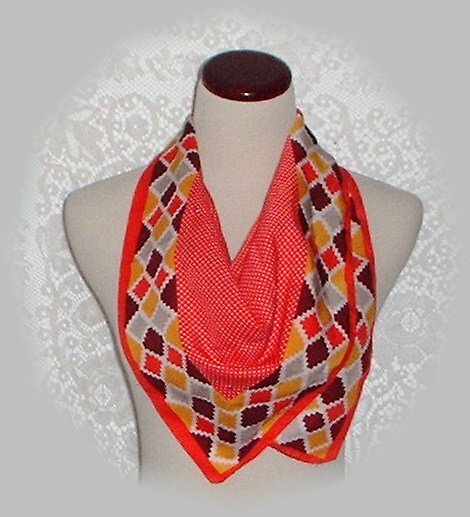 In addition to that The Vintage Scarf has created a special 10% discount on any purchases made from now until the end of the contest, just use code Wendy10. I am soooo excited about this, can’t wait to read your comments. Here is more of their vast collection to oooo and aaahhhh over. Enjoy! Me too!! Don’t forget to enter to win!! !